End of Part 1: Perhaps it had broken the wedge and pushed the bottom half deeply into the material. Nobody in the District but Mr Baird believed that there remained a portion of the reef below the granite but as only Mr Baird owned the mine and was paying for the exploration nobody interfered with his search nor discouraged his theories – It was nobody’s business but Mr Baird’s. Breaking hundreds of tons of solid rock four hundred feet below and hauling it to the surface of the earth is expensive work. When there is a streak of other rock containing gold amongst the broken stone it is certainly worth the expense, always provided the gold is sufficient in quantity and in a form which is not refractory to ordinary methods of gold extraction. The Baird reef was free of arsenic, antimony and other bugbears of the miner. So it’s owner had never worried about the cost of following it into the earth breaking it from the rock in which it was embedded and bringing it to the surface nor did Mr Baird grudge the cost of crushing his ore into powder or of washing it over the shaking copper plates. The yellow gold which mercury would catch from the agitated mass paid all the cost of mining and left a good deal over to pay the cost of a pretty daughter and all the comforts Mr Baird wanted. But when there was no milky stone there was no gold and Mr Baird was distinctly worried. 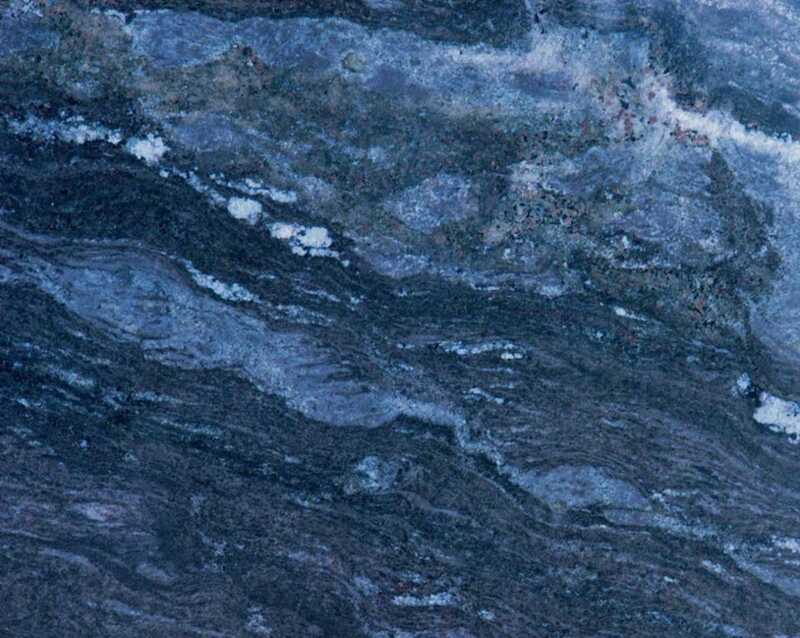 True it would take a year or two to break out all the quartz above the granite and there was another year’s work in recovering gold which had escaped the mercury and would only yield to cyanide treatment. Two courses lay before Mr Baird – one to acknowledge that his reef had come to its natural end and to concentrate on cleaning up – the other to gamble. Mr Baird decided to gamble. Eric Ferguson stood at the headgear of the Mascot with a boyish figure in oilskins. “Not scared, Eunice?” he asked as a wet little truck emerged from the shaft. A remarkably pretty girl shook her chestnut hair as she clambered in. Down into the darkness dropped the truck and the miner slipped a protecting arm about the slim shoulders a small hand felt and found Eric’s hardened calloused one – In the mirk and drizzle of the mine shaft, a girl’s soft lips met her lovers’. Down ever down sped the truck its steel rope singing to the winding drum above in the tiny patch of yellow that marked the surface. A landing stage lit by spluttering candles marking a right-angled drive where naked black men white with clay toiled demonically loading a waiting truck – again a lighted stage, quiet, deserted, a black hole yawning at it. No. 2 Level – No. 3 – No. 4 – With a jolt, the truck halted and a brawny native wet and clay covered grasping Eunice helped her to a wooden platform – a signal and the truck dropped into the darkness below. “Yes, what is it Boy?” as a perspiring grinning native spoke asking the Boss’s attention. “Come on Eric” cried the girl snatching a candle from a ledge of rock “Hamba Boy, hamba pambeli“. Grinning the native turned and trotted into the darkness the boy and girl behind. “Eunice, will you keep quiet about it until I tell you to loosen up?” Eric’s voice though quiet held a worried note. “That’s the Baird,” said Eric grimly. Eunice gazed dumbfounded at the great mass of white gleaming dully through the dark. “The Baird Eric?” she gasped. “Then it’s yours now,” murmured Eunice drawing close against her lover’s form. “Your Dad hasn’t got the Baird yet – it would be a deuce of a thing to prove anyway – and he’d have to prove it from his side of the mine,” said the miner grinning. “Then you’re prepared to give me a months option on the property Mr Baird?” Eric looked with pity on the man whose twelve-months fruitless hunt had made him look the four and seventy years he’d lived. The old miner looked troubled. “You wouldn’t lose” grated Baird. “Aye” – lifting a bottle on the table between them Baird poured two measures of whiskey and pushed a siphon to his guest. “To Hell with mining,” answered the other – “I’ve no interest in it.” and the old mine-owner’s head dropped on his breast. Protesting yet curious Baird walked with his companions silent but observant – now and again his eyes rested kindly on the fair girl chatting merrily with the powerful clean looking man. Down into the bowels of the earth rumbled the skip – past the levels stripped of their ore to the one where fresh stoping was beginning. Turning a corner of the drive the three were next to a great mass of quartz at which a dozen natives were busy. “The Baird The Baird” shrieked the old miner stumbling to his reef. Eric his arm about the girl drew next to the kneeling figure feverishly working at the rock face. The gaunt white-haired figure covered with clay and mud rose to his feet. Baird held out his hand. I am watching a video with a Year 10 class called Storm Surfers in it one of the big wave surfers comments on how finding never-before-surfed breaks is like prospecting for gold. A glance at a fissure in a cliff or even a wall – following it from the top it will probably run down more or less vertically. It may be almost a straight line – it may be only a surface split – may go halfway down or right through to the bottom. 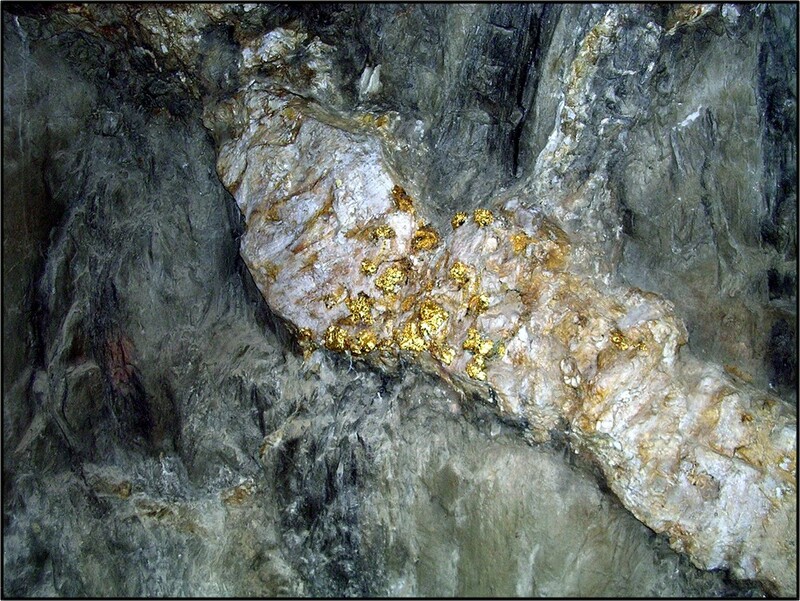 Gold reefs are the fissure veins. The dip here is heading ever downward. 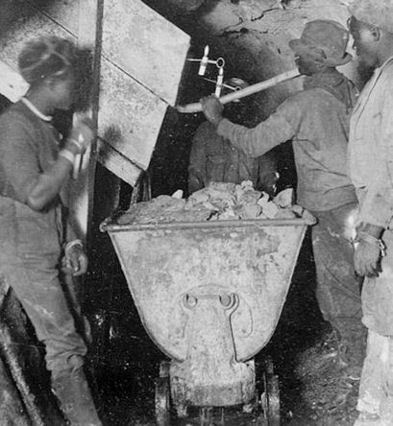 David Baird owned a gold mine in Southern Rhodesia – he also owned an eighteen-year-old daughter a fact which filled Eric Ferguson on the adjoining mine with all sorts of longings quite unconnected with gold mining. Eunice Baird liked Eric which was not very surprising for he was tall and broad-shouldered, had blue eyes and was in his early thirties all factors which to lonely young females make an excellent base around which to weave romance. Eric shaved every evening and bathed with the aid of a bucket – neither of which acts are looked upon as essentials by all men who live far away from civilisation. 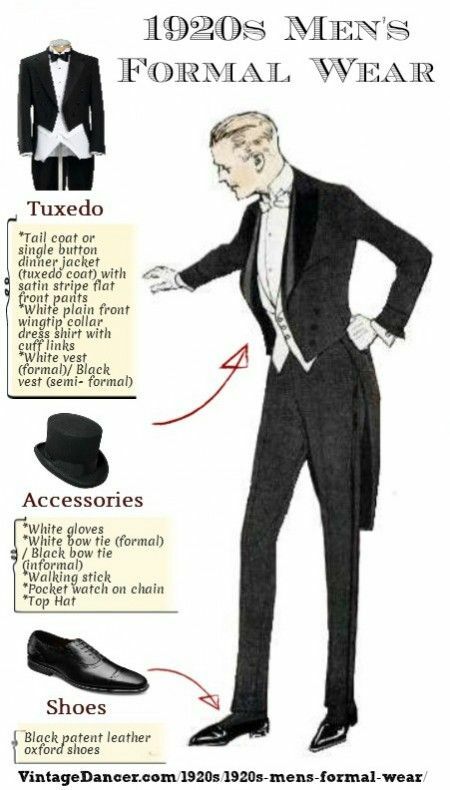 Eric also never wore a white tie with a dinner jacket though why he or anyone else wanted a dinner jacket at all frankly puzzled Eunice’s father. Mr Baird was also tall and broad-shouldered and had blue eyes but he was not in his early thirties. David Baird was in his early seventies and not the sort of man who needed a pension though he usually needed a shave and quite often a bath. But though Mr Baird did not consider razors or baths to be essential in his life he did believe that life without the Baird Reef and Miss Baird would be a very miserable existence. Mr Baird did not believe that the Almighty had been good to him with regard to either his mine or his daughter. He took all the credit for himself. As proof that God had nothing to do with giving him the Baird Reef, he pointed to the adjoining claims where Eric Ferguson and his father before him had worked for twenty years on a 9-inch reef. He David Baird had worked for old Ferguson and studying the formation evolved a theory. In his spare time, Mr Baird had worked on his theory which was that the Mascot reef of Ferguson’s was only a minor fissure near a major one. This theory resulted from studying the formation in which the Mascot reef lay. 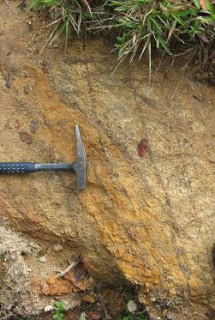 Much of the rock walls of the vein contained gold and numerous threads of rich ore ran into it. After long study of the surrounding country, Mr Baird pegged next to Mr Ferguson, dug many long cuttings and found a four-foot reef full of gold just outside his late employer’s boundary. So while old Ferguson and later his son ran a little stamp battery which yielded a living Mr Baird ran a ten-stamp mill which yielded a nett profit of £2000 per month. When nearing sixty Mr Baird married the daughter of a bankrupt Irish gentleman who had committed suicide – he thought farming was an easy way of making money and found it wasn’t. Mr Baird bought the farm together with a stock of solid old furniture and a good range of implements. He also erected a handsome granite cross over the resting place of Eunice’s grandparents for her grandmother had died of heartbreak – an example followed soon after Eunice’s birth by Mrs Baird. A Scottish nephew was called in to make the farm pay (and he succeeded). Mr Baird was anxious to keep both farm and mine in his family. Mr Baird decided to marry Eunice to his nephew Colin but Colin wanted to marry a Bonnie Highland lass in the land of his Father’s. Eunice, though she liked Colin liked Eric more. However, all realised that what David Baird liked was that everybody connected with him would have to like as well. John van Niekerk, a miner, scratched his head and gazed worriedly at a pile of broken rock next to his feet. Mr Baird on his hands and knees worked frantically with a tiny prospectors pick in the pool of light given by a red candle held by a half-naked black man. “Don’t stand looking the hyphen fool you are van Niekerk” bellowed Mr Baird looking up to see whether his assistant had found a solution of a puzzle which was causing the aged blood to chill. Mr Baird spat and resting from his labours filled an old black pipe and lit it. Supposing one dark night you or I armed with a lantern walked along the edge of a cliff two thousand feet deep. If we came on a small crack and climbing into it tried to trace it to the very bottom of the cliff our chances of success would be small. A ledge might run across it and yet quite possibly the crack might continue below but then again it mightn’t. The intrusive bar may have caused our crack to narrow almost to nothing but it could possibly have found a way around the obstruction or be behind it. Quite likely, however, the crack ends for good. Mr Baird was in the position of such searches. He believed the fissure which contained his gold to be under the bar. But there was no proof to encourage Mr Baird’s optimism. For four hundred feet from the surface of the earth, a hole showed how nicely Mr Baird’s gold reef had behaved – on two sides of the hole a dull white streak stained with oxidised metals showed what a very nice reef Mr Baird possessed. Along the roof of many tunnels, the same milky band proved that the reef was a four-foot wide wedge which was like a white wedge that went into a solid mass of grey stone. What Mr Baird disliked was the thought that all the wedge had been taken out of the material. For years he had broken the milky wedge out bit by bit working from its top until now it seemed suspicious there being none of it taken out – that a molten stream had forced through the middle of the wedge and cooled, melting away only a little of the middle. Perhaps it had broken the wedge and pushed the bottom half deeply into the material. Morag Mac Donald and Reginald Lumsden find an experienced prospector. True to his promise Le Roux brought Coralie’s adopted father Bill Higgins to the hotel the next morning. A week’s careful supervision and the combined efforts of Coralie, Le Roux, a barber and an outfitter had succeeded in making the old prospector a presentable figure. Tall and gaunt, his impression on Morag was that of a typical pioneer. The broad-brimmed pinched in Stetson hat, the mahogany tanned hands, face and neck, the white combed beard and hair conveyed an atmosphere of the picturesque past which filled the girl with sympathy and romantic friendliness. Bill Higgins was neither rogue nor actor. 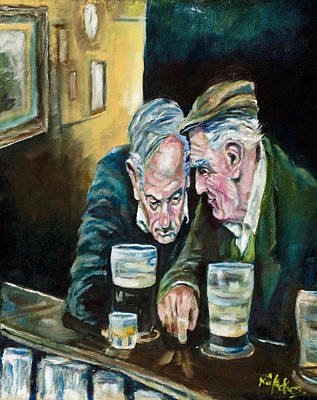 Too old for employment, too accustomed to the life of prospecting camps to accustom himself to a town environment he had sunk into disreputable old drunkard but throughout his chequered life he’d done the same whenever a lucky venture had given him funds for a spell in town. Old as he was Bill reckoned a few months back in the bush would set him up again and Le Roux had told him here was his chance and one might find him a mine over which he’d dreamed for many years. Le Roux beyond, telling the prospector that the girl was a niece of his old partner and the youth of a friend of hers interested in the venture of seeking MacDonald’s mine, had not thought it necessary to prompt Higgins. Le Roux did not believe in his tools knowing too much. Knowing the girl’s nature exceedingly well Le Roux shook his head when Morag lunching with him at the Grand informed him that she and Reg had decided to engage Old Higgins as their prospector and that the three were leaving the day after next. Le Roux’s teeth caught and gnawed his lower lip with vexation. It wasn’t often he made mistakes with girls he reflected but he’d certainly put his head in a hornet’s nest this time. This links to The Mine of Mac of the Hills with some changes. 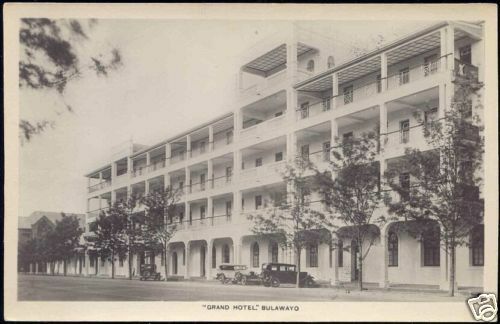 When Le Roux called next morning at The Criterion, he found to his disgust that Mrs O’Connor had left early on a sightseeing trip with Morag and Reginald (MacGregor). Realising there was nothing to be done Le Roux left mentally cursing Mrs O’Connor and all friends of hers. But whilst Le Roux liverish at the unaccustomed hour of rising was consigning her to perdition Mrs O’Connor was at peace with all things. 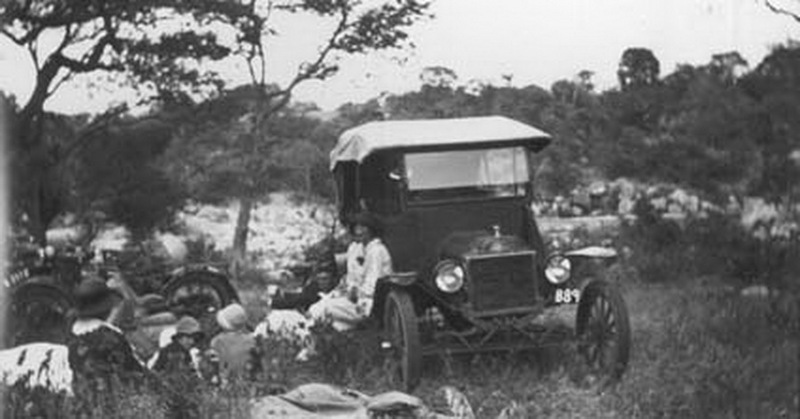 The early spring splashed the veld with masses of colour, the morning air crisp and fresh filled her with the joy of homecoming, best of all her protégées happy and brimful of laughter were safe under her wing speeding to what the experienced Anderson had assured her would kill the mining nonsense forever. “Great things cars are,” the mine owner remarked, “In the old days we’d have spent from a fortnight to a month on a trip we’ll do comfortably in two days now.” And to Morag’s delight, he began to reel off tale after tale of pioneering days. “Reminds me,” said Anderson and again came the recital of frontier tales. Four hours sped by through open Savannah country. “Oh, I do hope you are Mollie! Is their Ranch near where Uncle was prospecting Mr Anderson?” Morag cried excitedly. At last Anderson pulled up at the little Frontier station with its usual surroundings of trading stores, hotel and cattle loading ramp. As the men disappeared into a native trading store housed in the same building signboards proclaimed as an hotel and bar, Morag alive with interest decided to give her a collie a run and utilise the opportunity to see something of the hamlet she presumed would be her headquarters. Not even the glamour of frontier life could make Mapeta a place of desire. The centre for many big cattle ranchers and several mining enterprises what comprised Mapeta was mostly dust. A few doleful ragged eucalyptus trees heavily burdened with quantities of Mapeta’s outstanding product (the dust?) grew bravely round the stationmaster’s tiny garden, a tiny oasis in a pan of thick red powder. An American windmill creaked and groaned for lubrication behind the crumbling bricks of what buildings weren’t of unpainted corrugated iron. Old tins that had once contained beef of other ranching countries, broken paraffin tins, disused jam tins lay scattered everywhere and starved dogs slunk curlike by or scratched for fleas. A few natives in what appeared the diseased rags of scarecrows looked with unemotional incurious eyes after the girl, pot-bellied naked picaninnies scurried to their mother’s rags. Morag felt her spirits fail. Such desolation she had never believed could exist. Swiftly that curse of the Celtic race – the reaction to atmosphere descended like clammy mist swirling about her heart. Was it an omen of the future she wondered looking about for Rory who had gone in hot pursuit of a starving mongrel? The Mining Commissioner spoke truly. Three cheery gentlemen asked, expressed opinions that confirmed the Commissioner views evidently looking upon Morag’s expedition as a glorious joke. All agreed that even if the claims were discovered they would require a large expenditure in development work to justify a modern company looking at them. “I’m twenty-two Mr Anderson and as regards Rhodesia, I honestly don’t believe I could leave it.” Spoken like a man Miss MacDonald” laughed Mr MacGregor well if you’ll pay Mr Anderson £2 you’ll become a full fully-fledged prospector entitled to hunt for minerals and oils in any part of Rhodesia. Complying with a few formalities Morag was given two licences each entitling her to peg ten mining claims. “Come along Anderson let’s adjourn to drink the new prospector’s health,” called MacGregor’s seizing the protesting official and leading the way to a large but battered car. Early next morning Morag sitting beside Mr MacGregor drank in the freshness of a Rhodesian dawn as she listened to tales of the ups and downs of prospecting and mining. “You’re on an absolute wild goose chase Miss MacDonald,” she was told “if your Uncle had left any definite information and you had a couple of thousands to risk in a mining venture it would be an exciting experience looking for and perhaps finding and developing a lost reef. Mind you if it looked good I myself would mind helping you and Anderson is a valuable friend that way, but I’m afraid you’re going to be disappointed. “Oh well,” laughed Morag “I’ve come out to a happy friendly country where apparently jobs that easy to get and everyone is nice. Enquiry at the combined trading store and bar which courageously a notice board claiming that it was also an hotel showed they were on the right road. Some eighty miles from Bulawayo. Half an hours spin brought the car into the wilderness of heavily bushed hills and great stretches of park-like country. “Aye, one sees the wrong side of Africa from the train Miss MacDonald – you see the railway follows a high and narrow watershed. Twenty miles either side and one is in a different country altogether. We’re in good prospecting country now – see there’re quite a number of abandoned mining properties about.